There is no wrong or right way to experience Italy. Every corner, every town, every facade, and every face has a story to tell. Italy has been charming travelers for hundreds, if not thousands, of years, originally attracting international aristocrats and currently attracting, well, almost everyone. The sensual landscapes, warm hospitality, distinct history, traditional values, and food and drink culture, appeals to the masses. Italy isn't slowing down any time soon, and any time is the perfect time to go. DAY 01 | WELCOME TO ROME! Upon arrival to Rome, you’ll be greeted at the airport by your guide who will take you to your hotel in the heart of the city. Following check in you’ll enjoy some time at leisure. At 2pm, you’ll begin a wholly unique way of touring this ancient city: by Golf Cart! You’ll travel through small alleyways while showing you the most visited and genuine parts of this breathtaking metropolis, stopping by historical residences, characteristic town squares, romantic fountains and sixth century courtyards far from the typical tourist itineraries yet still situated in the heart of the city. Sites include visit the Pantheon, Navona Square, Trevi Fountain, the Roman Forum, the Antique Opera House and Piazza Venezia. To finish off the tour, explore none other than the famous Colosseum. Enjoy a morning at leisure, wandering the streets of Rome until you work up an appetite. Later this afternoon, learn to make TWO of Italy’s most iconic creations, pizza AND gelato! With our English-speaking Italian chef, learn the techniques of kneading the all-important pizza dough, as Italians have been doing for two centuries. Guests are always welcomed with drinks and antipasti to nibble on until your very own dishes are ready for consumption! Enjoy some fine local wines to complement your culinary masterpiece. No visit to Rome would be complete without seeing the breathtaking Sistine Chapel, the grandeur of the Vatican museums and experiencing the quiet reverence of St Peter’s Basilica. This half day tour includes pre-booked entry tickets to the Vatican and museums that will allow you to bypass the lines with your guide. Immerse yourself in the culture of Rome. Wander on foot, rent a bicycle, take the metro. Enjoy a delicious pasta lunch off the beaten path, spend the day shopping on Via Corso, enjoy an afternoon aperitivo, or arrange a special tour with your guide. Your final full day in Rome is at your disposal to do as little or as much as you want! Today you’ll begin your scenic ride south to Sorrento and the Amalfi Coast with a stop at iconic Pompeii. Arguably one of the most famous Roman ruins in Europe, the sheer size of the site, and the details of daily life that can be seen here, are enough to astonish any visitor. 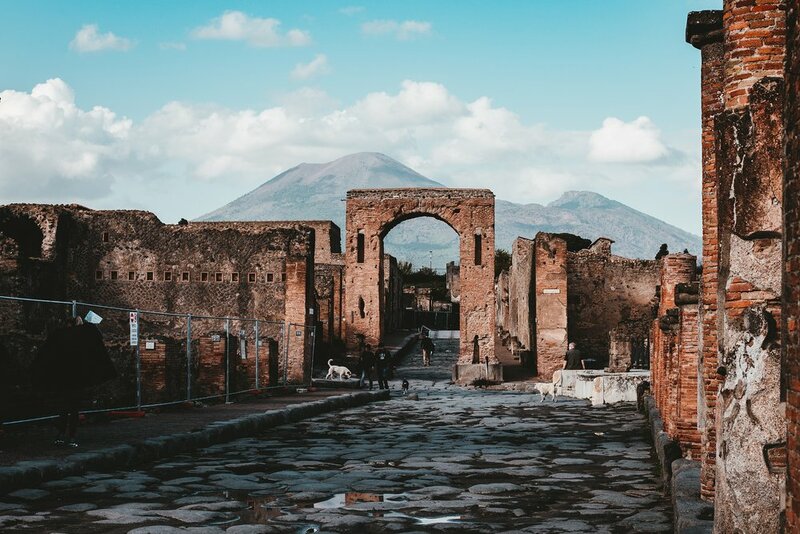 Pompeii has UNESCO World Heritage Site status and highlights include well-preserved baths, a huge arena where ancient games were held, and numerous frescoes. 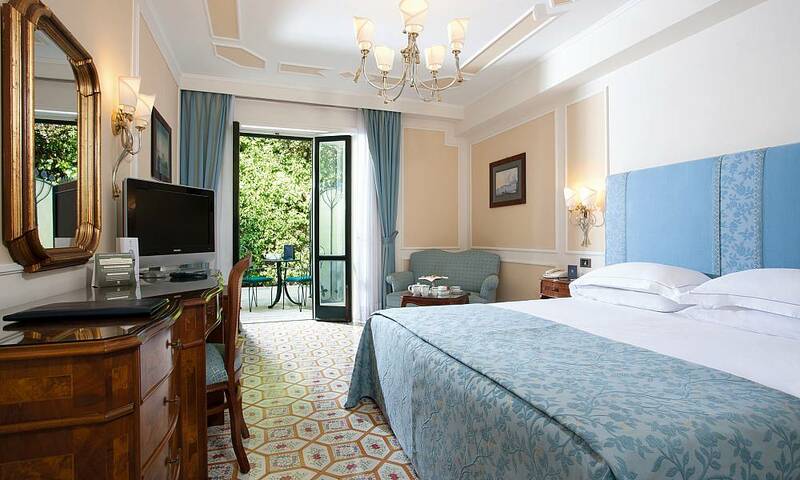 Upon conclusion of the tour you’ll continue south to Sorrento where you’ll be taken to your hotel and assisted with check-in, with the remainder of the evening at your leisure. After breakfast at a scheduled time, your guide will pick you up at the hotel to begin your day on the sparkling waters off the Amalfi Coast. Soak up the sun surrounded by those famous rocky cliffs with colorful houses. Your full day tour will include a private boat with a skipper, towels, snacks and soft drinks. Enjoy a hearty breakfast before checking out of your hotel. Hotel shuttle transfers will be arranged to take you to the appropriate international airport for your departure flight home. With contemporary design and set in a prestigious location within walking distance from Via del Corso, meet The Telegraph Suites, innovative and exclusive suites of Mag Hotels group. The Telegraph Suites opens its doors to guests in exclusive suites in the old building on Via del Mancino where charm, elegance and design come together in a unique environment to offer the privacy and convenience of a spacious suite with the best services of hotel accommodation of a high standard. Grand Hotel Royal, member of Alberghi Storici d’Italia (Historic Hotels of Italy), is a classy and stylish five-star estate in the heart of Sorrento, perched over the sea in a privileged location overlooking the Gulf of Naples and the Mount Vesuvius, surrounded by a large park boasting exotic plants, amazing camellias, orange and lemon trees.